Last week, while procrastinating from writing my thesis, I put up a short blog post about a common piece of financial advice, viz: "if you avoid buying your daily latte and instead put the money in a savings account, you could be a millionaire by the time you retire." I was surprised by the response that it generated - a Reddit post brought in 20,000 views to the blog, then it was picked up by the New York Post, which, bizarrely, I found out about from an automated message on LinkedIn titled "You made the news!". The post didn't contain any information that wasn't already widely available - the formula for compound interest with regular deposits is a standard that can be found in any finance textbook. I re-derived it as an interesting afternoon exercise. I was surprised by just how many people picked up on the £318,135.57 figure rather than using the formula to calculate something based on their own costs and interest rates, or even just looking at the graph. There have been a few comments that have come up more than once, so I thought I'd make a post addressing them. Not much of one, really. 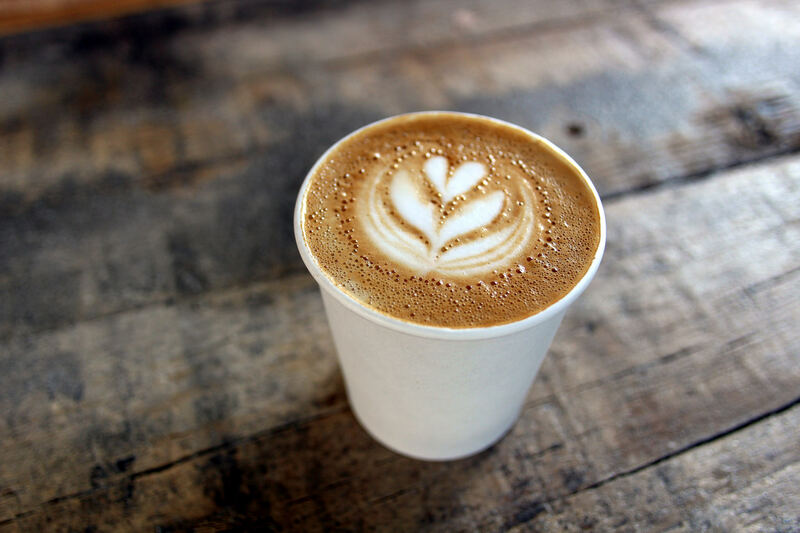 The cost of a latte every day won't get you to a million before you retire at realistic interest rates, but it would save you a fair amount of money if you were prepared to give it up. People have interpreted the post in diametrically opposed ways, either: "you can save lots of money and should do this", or "don't deny yourself the pleasures of life". Pick whichever one you prefer - it's your life, not mine. Do remember to bring your own cup, though - we've only got one planet. There is a persistent belief that people earning minimum wage could also be millionaires, if only they wouldn't spend so much on luxuries. I think this idea comes from taking the ideas from books like The Millionaire Next Door, about the frugality of the rich, to strange extremes. According to the Household Spending Survey from the Office for National statistics, people with the lowest 10% of income spend an average of £1.04 per day on eating out and going on holidays (far less, incidentally, as a percentage of their income than any other income group). Getting rid of this spending would save £378.82 over the course of a year, and get you to millionairedom with an interest rate of 6% in just 87 short years. If you wanted to be a millionaire within 50 years with a 6% savings account, you'd need to cut almost £10 a day from your budget, and the data show that people on low incomes just aren't spending that much on non-essentials. It's important to be realistic about the limits of frugality, and not to use faulty mathematical reasoning when making financial decisions. Where the hell are you finding an interest rate of 6%? The last time I switched savings accounts was pre-Brexit - things are looking a lot worse for interest rates these days! I go to MoneySavingExpert for financial advice, and the best regular saver seems to get you around 5% back, but the majority of ISAs are at more like 1.4%. Please adjust your calculations accordingly. What about taxes, investing, and 401Ks? Firstly, we don't have 401Ks in the UK, we have other pension arrangements, so I can't tell you a darned thing about those. I can't tell you anything about taxes or savings accounts in the USA either. As far as taxes in the UK go, I reckon you're going to be under the PSA allowance or the ISA allowance each year, so presumably that shouldn't be a big problem, but do correct me in the comments if I've misunderstood. I've gotten lots of comments along the lines of "if you use my stock market strategy, you can get 15% returns!" I have no idea what the best investment strategy for your money is. Feel free to adjust your calculations to whatever interest rate you think you can find. Millennials spend too much on coffee! According to that same Household Spending Survey from the Office for National Statistics, the under-30s in the UK spend less on coffee and eating out than older people of working age. There was a widely-shared tidbit that millennials spent more on coffee than on their retirement savings, but this was based on a small SurveyMonkey form and certainly isn't held up by the ONS data, or US consumer spending data. If my latte costs £x and my interest rate is y%, and I save for n years, how much money would I save? What if I only get a latte on work days, not every day? What if I deposit the money daily rather than as a lump sum at the end of the year? There's been a lot of confusion in the comments between yearly and daily compounding interest. The interest rate % you are shown when you apply for a bank account is the "annual equivalent rate" (AER). The AER tells you how much interest you would get if you put a lump sum in at the beginning of the year and then didn't add anything else. Where is the total money you have at the end, is the cost of your latte, is your daily interest rate that we calculated above, and is the number of years that you want to save for. You'd make extra money saving every day rather than at the end of the year. In the example I used in my original post, with a £3 latte at 6% interest for 50 years, you'd make £327,560.82 rather than £318,135.57, a not inconsiderable difference of £9,425.25 (although still notably not a million). If you want to work out accurate daily interest calculations for lattes bought only on work days, you're on your own unless you feel like sending me your holiday schedules for the next 50 years. As a rough estimate, you could multiply your latte cost by and use the above calculator. If you'd like to get email updates from me, sign up to my mailing list! Two important points, not in contrast to your math. Every $25 you spend instead of save is $1 per year for the rest of your life (at 4% net). The second is, if you save 10% of your income (and otherwise live within your means), you can retire with your same lifestyle as someone else saving 10% of their income. This means that someone making 40k per year can save 4k per year, and will retire at the same time as a doctor making 300k per year but saving 30k per year. I think the idea of the latte millionaire is that even if you don't make much, saving a little can help. Lifestyle inflation when income goes up, is the enemy. I really enjoyed this post. I have heard this claim before (maybe it was your post as I frequent Reddit). I love how you actually break down the math and talk about the different type of ways to compound the interest. What's interesting to me is how unknowledgeable millennials are on how to calculate interest or knowing what a good interest rate is (at least here in the US). Keep up these posts filled with data. I really enjoyed it.